They’re a bit late to the party, but Instagram has finally answered our prayers by adding a mute feature to its main feed. According to an announcement made by the company this morning, users will be able to hide posts in their feed from accounts that they still want to follow but don’t want to see any content from—like, for instance, that friend who posts Far Too Much and decided to date your ex. It’s not like you can unfollow her (you are “friends” after all) but come on! Completely made-up examples aside, you’ll still get notifications from muted accounts if they tag you in posts or comment on your stuff. But let’s be real—this feature is a way to privately ignore someone you pretend to have a good relationship with, so these caveats track fairly well. This change feels like it’s coming late, and not just because Facebook and Twitter have had muting/unfollowing-without-unfollowing capabilities for a long time. 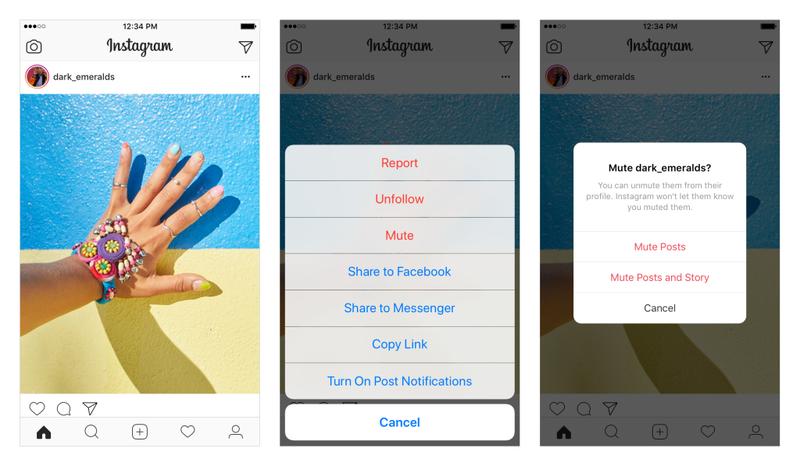 Instagram users have been able to mute people’s stories from appearing at the top of their feeds since 2016, so it’s weird that this seemingly essential feature is only expanding to regular posts now. At any rate, congrats to all of the frenemies out there who can now breathe a bit easier while scrolling through their Instagram feeds. What Does the Freaky Image of the Black Hole Actually Look Like?